Yes, CRAZY FOAM is BACK!! 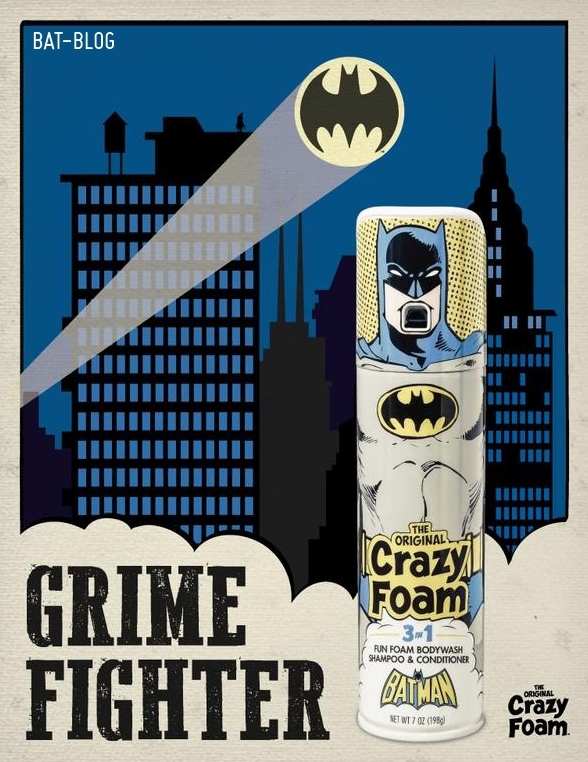 Here is a quick post to share this cool "magazine advertising" graphic I came across for the new #BATMAN Crazy Foam. The main reason I'm sharing it, other than it's kind of humorous and interesting to see, is to ask if anyone out there has found this stuff in stores??? It's supposed to be sold at Walgreens but I have not been able to find it or any other of the DC Comics Superheroes. (Actually, the only ones I want are the Batman-related characters). WTF?! !